To nobody’s surprise, the beautiful and historic “Beau Sancy” diamond has sold for more than double the high pre-sale estimate at Sotheby’s Geneva Magnificent Jewels and Noble Jewels sale. The 35-carat modified pear double rose cut gemstone, which since the early 17th century has successively been part of the crown jewels of France, Holland, England, Prussia and the German Empire, was purchased by an anonymous telephone bidder for $9.7 million including buyer’s premium. 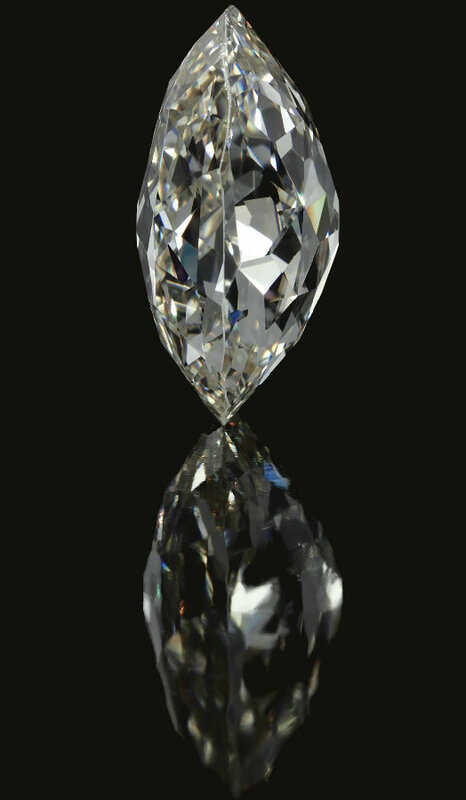 The diamond first entered the historical record in 1570 when it was purchased in Constantinople by diplomat, financier and jewel expert Nicolas de Harlay, Lord of Sancy. 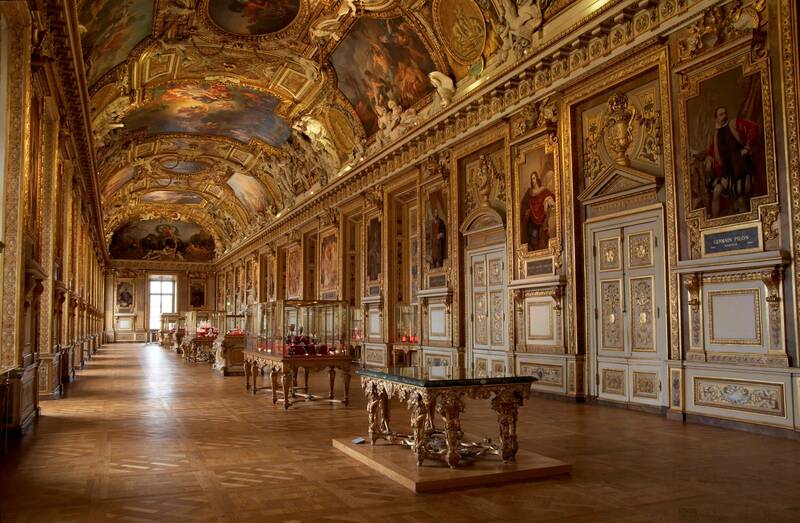 It was purchased by Henri IV of France for his wife Marie de Medici in 1604. From then until now, the “Beau Sancy” has never been in non-royal hands (as long as you consider the sellers, the House of Hohenzollern, still royal, even though their last scion to sit on a throne was Kaiser Wilhelm II of Germany). 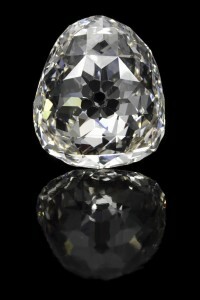 Five bidders from North America, Europe and Asia vied for the “Beau Sancy” and one of them won. Sotheby’s won’t disclose any more information than that, so sadly this probably means a stone that has been at the center of European royal history for more than 400 years has now been sucked into the black hole of private collections never to be seen again until the next public sale. Perhaps we’ll get lucky and the buyer will loan it to the Louvre so it can be put on display in the Apollo Gallery along with its cousin the “Sancy” diamond, a 53-carat pale yellow shield-shaped modified brilliant cut that was once the center stone of the fleur-de-lis on top of Louis XV’s coronation crown. The “Sancy” was replaced by a replica in 1729 at the king’s command, and the Revolution and later French Republics looted, dispersed and sold the originals. After many vicissitudes, including decades of being hidden away in anonymous private collections, the “Sancy” found its way back home again when William Waldorf Astor, 4th Viscount Astor, sold it to the Louvre for one million dollars in 1978. So there’s hope that like its cousin, the “Beau Sancy” might end up in a museum, even though it could take a few centuries. The fact that the Beau Sancy was first worn by Marie de Medici in 1610 as the principle [sic] stone and centrepiece of her coronation crown indicates very clearly the importance of the diamond at this time as the supreme emblem of Royalty. On a symbolic level, diamonds are associated with the sun, our “Daystar”, the dynamic centre of our cosmos and thus the source of all life and light. What better stone therefore could be used to illustrate the parallel with the position and central role of the Monarch within his Kingdom? Indeed, later the same century, King Louis XIV would go a step further and call himself “Le Roi Soleil”. The Beau Sancy, which was cut and polished towards the end of the 16th century, exhibits the first attempts to liberate the ‘fire’ inherent in the stone – a property of diamond so familiar and so admired today, but which, due to the absolute hardness of the crystal which rendered cutting so difficult, had only just begun to be exploited. By the use of the newly-developed ‘rose’ style of cutting, which employed a myriad of triangular facets covering the entire surface of the crystal, the light which entered the stone was reflected and dispersed, broken up on the way into the colours of the rainbow. This was totally new.